What does a Pancake Flippin’ Robot, Flashlight Switch Project, Wi-Fi Antenna Hanger and Tiny House replica have in common? Two things actually: No. 1, they won first, second and third place, respectively, at the FloridaShines 3D Printing Contest. 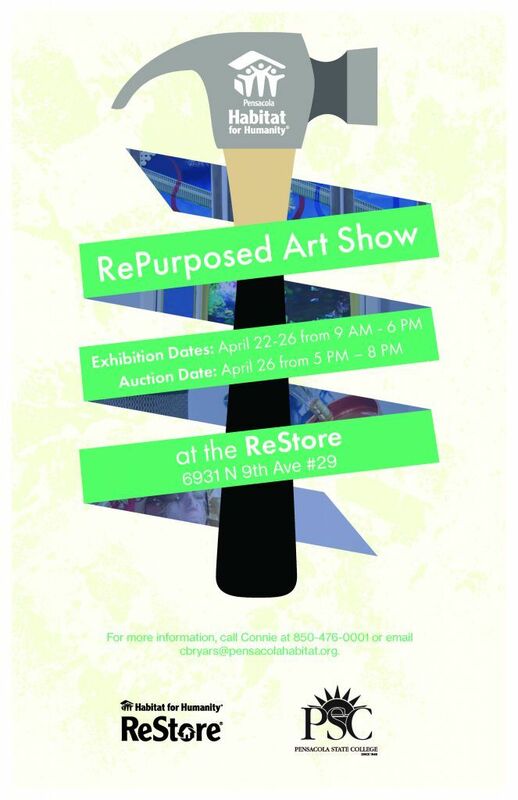 And secondly, all of the entries were submitted by Pensacola State College students. 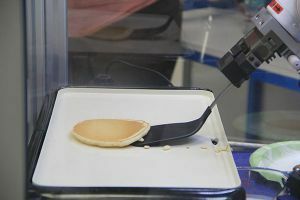 In first place and developed by students in Wilson Rook’s robotics-mechanics and controls course during the fall semester, the Robotic Arm Ladle Attachment pours and flips perfect pancakes – every time. 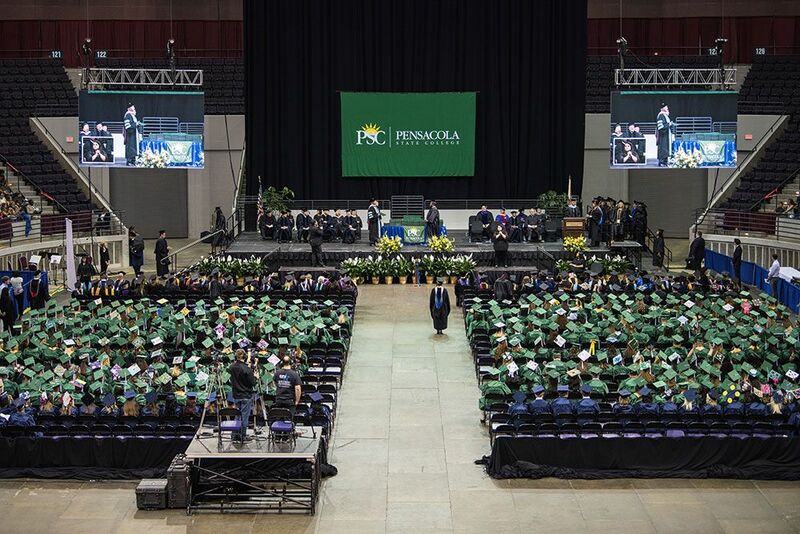 The apparatus was voted the Outstanding College 3D Submission in the contest where Pensacola State competed against 40 other Florida colleges and universities. Pensacola State students – Patrick H Gomes, Michael Miller and Jeffrey S. Taylor – developed the attachment. The 3D printed parts were designed to support a robotics programming course. The programming objective was to cook and flip pancakes using an industrial robotic arm. After coming up with the design for the prosthetics, the students made the attachments using a 3-D printer. The Flashlight Switch Project and Wi-Fi Antenna Hanger tied for second place in the contest. Developed by Jacob Underwood, an Engineering Technology Drafting student, the Flashlight Switch Project mechanical device uses rollers, push rods, and levers to turn on/off a flashlight when the door is opened and closed. Todd Moody, another Engineering Technology Drafting student, created the Wi-Fi Antenna Hanger to adapt to an existing magnetic antenna base, giving it means of mechanical attachment to multiple surfaces. The antenna receiver clip model clips into an existing receiver cradle allowing multiple mounting possibilities. Both Underwood and Moody used SOLIDWORKS, a 3D solution and rendering software, to help design their products. Coming in third was a “tiny reproduction” of Pensacola State’s own Tiny House by Engineering Technology Drafting students – Adrian Gasowski, Todd Moody and Mikey Patchanian. The group also used SOLIDWORKS II software to create a 1/48 scale model of the carpentry students’ 208-square-feet Tiny House project. The students worked individually on the three parts, collaborating as needed to ensure proper fit for assembly of the final model. Students at Escambia County School District’s Myrtle Grove Elementary also took home a first place for a 3D printed figurine of Bobak Ferdowsi, a systems engineer at NASA’s Jet Propulsion Laboratory. The FloridaShines 3D contest ran throughout the fall term with the submissions due by Jan. 15. Judging and the winners were announced during the Future of Education Technology Conference in Orlando. A service of the Florida Virtual Campus, FloridaShines provides students from elementary through post-secondary a hub of innovative educational services. The annual 3D contest is open to all Florida students, and submissions are accepted from individuals, groups or classes. The submissions were added to The Orange Grove, a free digital repository of shared instructional materials and learning objects, that Florida’s teachers can access and use in their classes.